for every business customer you refer*. 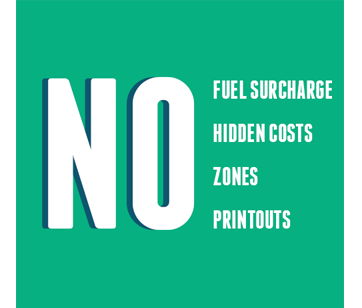 1courier will not add a fuel surcharge to any of our deliveries. We also guarantee lowest shipping rates. We value our clients and aim to be both fair and transparent in our billing. At 1Courier, we recognize our responsibility to the environment and encourage runners and the use of public transit for small parcels. Our focus on being eco-friendly is also reflected in our technology which allows us to be completely paperless. Our drivers and messengers use their smart phones to capture signature at pick-ups and drop-offs which can be viewed online. This will eliminate the use of paper waybills saving our eco system and also saving you lot of money on paper and ink. 1Courier has designed the most user friendly software for online based ordering. Use our system to obtain instant quote based on wight, dimension, service type. Live Tracking: enables our dispatch and customers to track and stay with their parcels at all times, unill it reaches the destination. This way we know where the parcel is every minute! 1Courier provides APIs (Application Programming Interface) that can be easily integrated on any e-commerce website for rush, same day, next day or scheduled delivery. Your business systems, retail website or order management system can be integrated to create shipping labels, facilitate returns, track shipments, obtain rate quotes and generate reports. 1courier ensures the protection of all personal information and transactions through our 256 bit SSL encryption model. Daily backups of all delivery and transaction data is another step taken to assure customer data is secured. 1Courier uses KM based model. Which can save your company upto 50% on sameday and next day delivery service.  Driver access is provided to you by our dispatch once all neccessary documents and background checks has ben performed.